Stunning detached bungalow with a garden, parking and attached garage hidden away in the centre of a lovely market town! 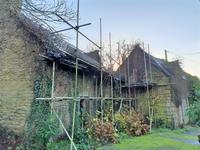 Great opportunity to own a superb residence in the middle of a bustling market town less than . . .
Brittany - Unique, amazing, captivating, this exceptional home and garden in a small market town is sure to wow you at every turn! You may need imagination for this project. But you will find a little gem for a family home . . . Requiring renovation but habitable (currently lived in), this is an opportunity to own a . . .
Detached 2-bed house on the edge of a village with garage and nearly an acre of land. Located on the edge of the village of St. Vran in the Côtes d'Armor, this detached 2-bed . . .
A must see property to appreciate its position and wonderful views! A large open plan living . 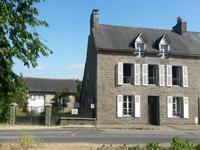 . .
15 bedroom hotel, restaurant and bar premises in an acre of land. These premises are an ideal business opportunity. The current owners are established . . . 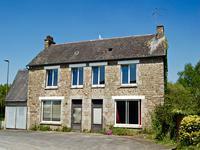 Spacious longère with 2 Bedrooms walking distance to village in Central Brittany. Ideal holiday home or retirement, currently with 2 bedrooms but with scope to add a further . 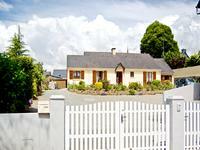 . .
Lovely village house between Plémet and Merdrignac with private parking, garden and garage. 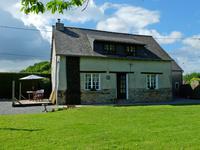 Situated in the village of Laurenan within walking distance to the local shop and restaurant, . . .
Detached, renovated property containing two houses, with private courtyard, garden and outbuildings for further development. 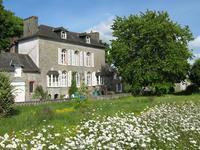 The main building has been renovated and contains two houses – one with three bedrooms, the . . . The main house has been nicely renovated and is in good condition. There is a spacious . . .
4-bed hamlet property full of character and charm. This house has a lot to offer, starting with a lovely entrance hallway. The big kitchen diner . . . This house offers plenty of potential. There is a main house with three bedrooms, plus an . . .
Deceptively spacious, pretty 3-bed detached stone house in a quiet hamlet on a plot of over half an acre. With 3 bedrooms and 2 good-sized reception rooms this is a generous family house. Full of . . .